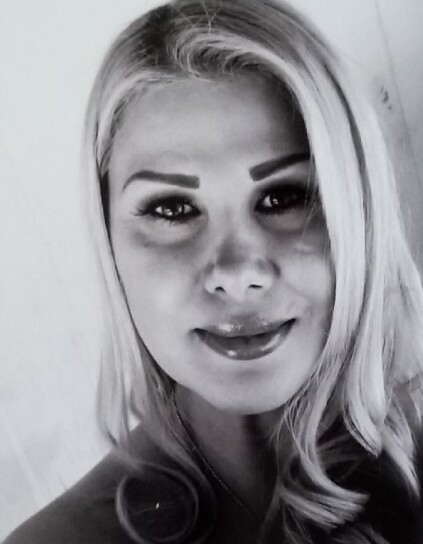 Dora Del Real-Carbajal, 42, of N. 9th Street, Carlsbad, New Mexico, passed away Monday, August 13, 2018. A vigil is scheduled for 7:00 PM, Monday, August 20, 2018 at Denton-Wood Funeral Home Chapel. Mass of Christian Burial is scheduled for 10:00 AM, Tuesday, August 21, 2018 at San Jose Catholic Church with Fr. Martin Cordero officiating. Cremation will take place following the service. Denton-Wood Funeral Home is in charge of the arrangements. Dora Del Real-Carbajal was born February 22, 1976 in Ascension, Chihuahua, Mexico to Rosa Emma Carbajal and Israel Del Real. She was preceded in death by her mother, Rosa Emma Carbajal; son, Israel Del Real and baby Camarena. Survivors are her husband, Alonso Camarena; daughters: Vanessa Del Real, Pacsy Granillo, Berema Del Real, Selina Granillo, Alexsa Martinez and Nicole Martinez; father, Israel Del Real; grandchildren: Anthony Padilla, Kimberly Rubio, Natalie Padilla, Alexis Del Real, Angela Munoz, Emily Emma Padilla, Nathan Rubio and Jonathan Thomas Ferraro, Jr.; siblings: Inez Del Real, Araceli Del Real, Lorenzo Del Real, Christina Saenz and Christin Saenz. Pallbearers will be Israel Del Real, Alonso Camarena, Gustavo Padilla, Hector Rubio, Adrian Escobar and Fabian Molina.